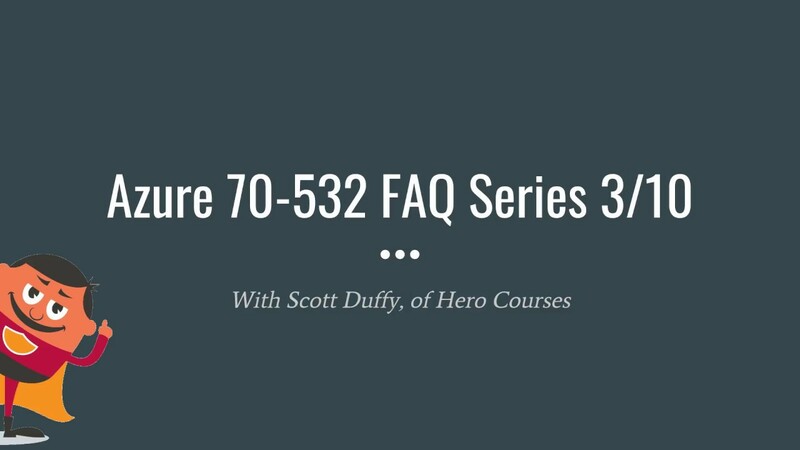 ​A student named Jason in the 70-534 course posted this link to the Q&A board, and I thought it was so useful I will add it as a resource to all courses. It’s even worth sharing as a blog post. It’s a one-page sorted list of every Azure service. Clicking on the name expands it to summarize what it is and link out to the documentation. Kudos to the person who made it. Worth a bookmark if you’re studying for the test. If you have good study resources (not dumps), I and others would love to see them, so please share! ← What is a Cloud Architect?